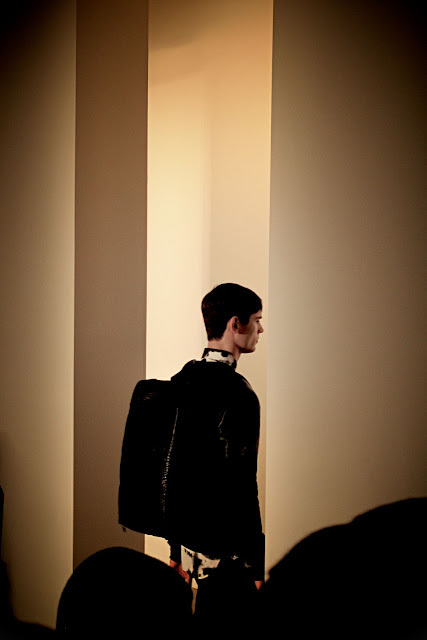 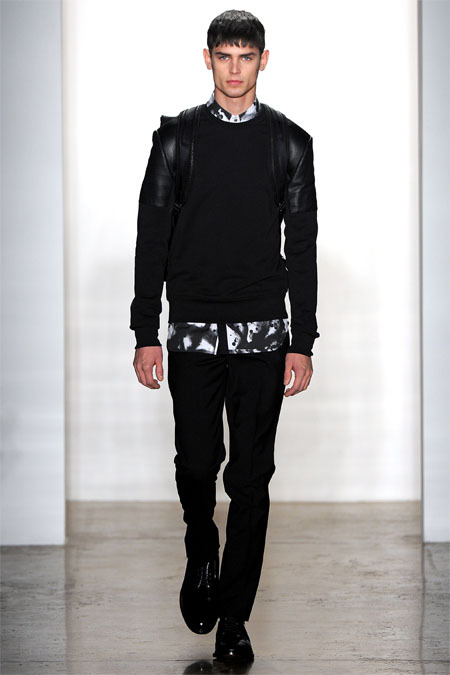 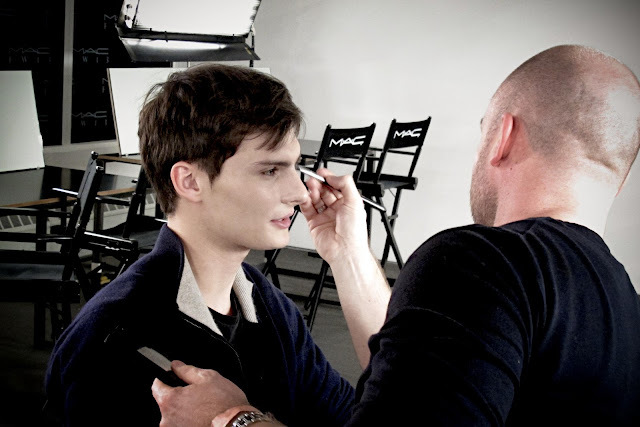 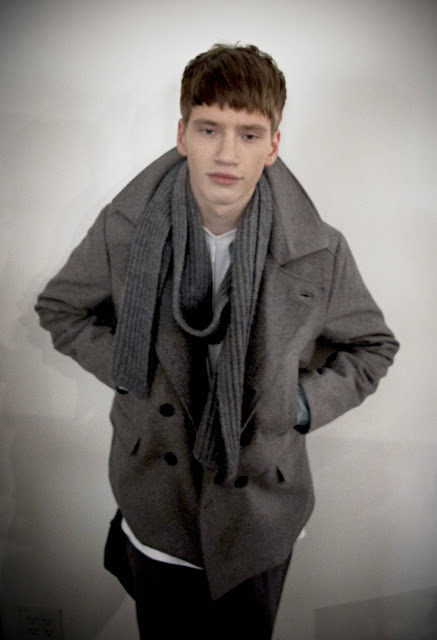 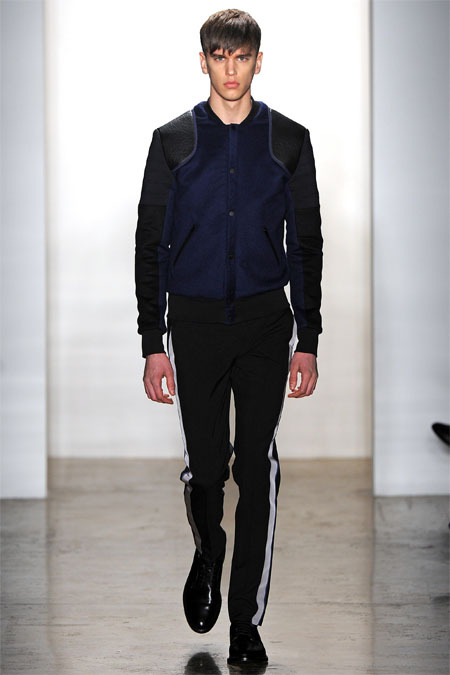 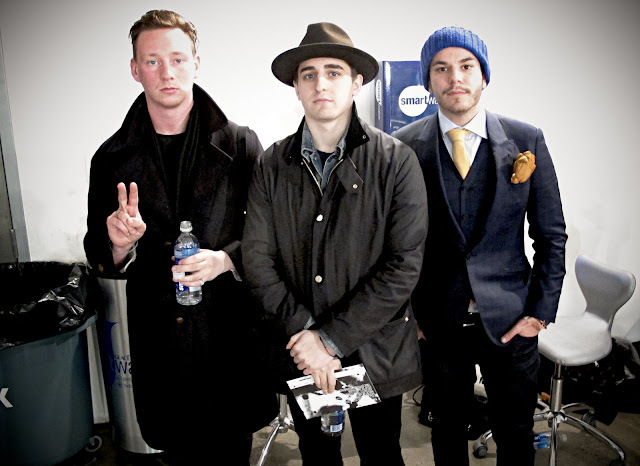 Another show that I went to this season during NYFW is Tim Coppens AW13/14 collection. 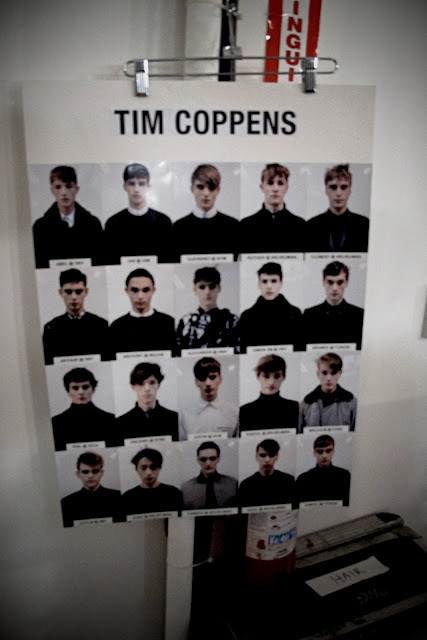 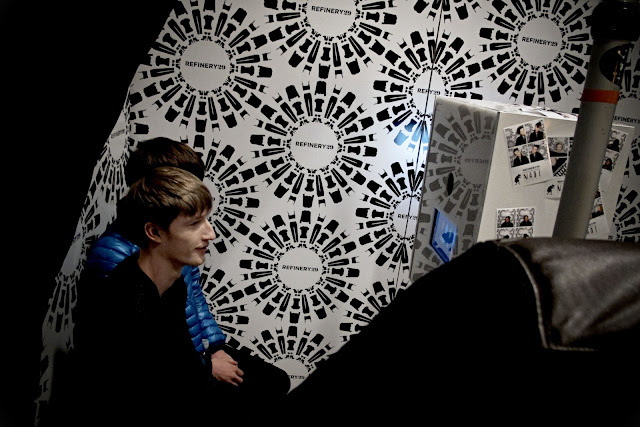 This was my first time watching Tim Coppens' presentation. 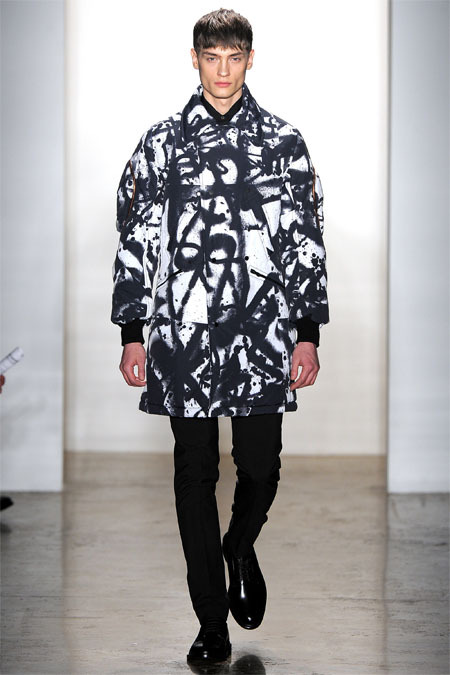 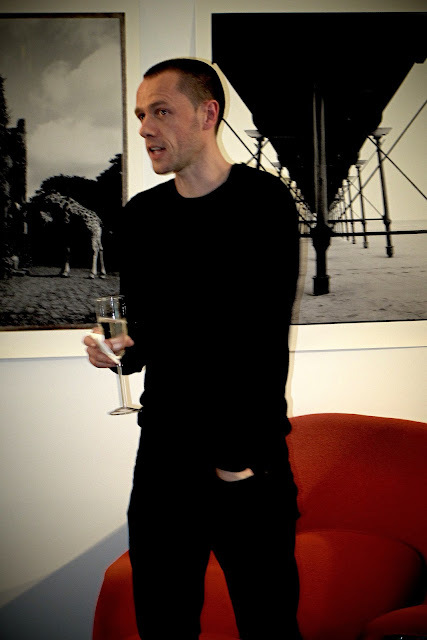 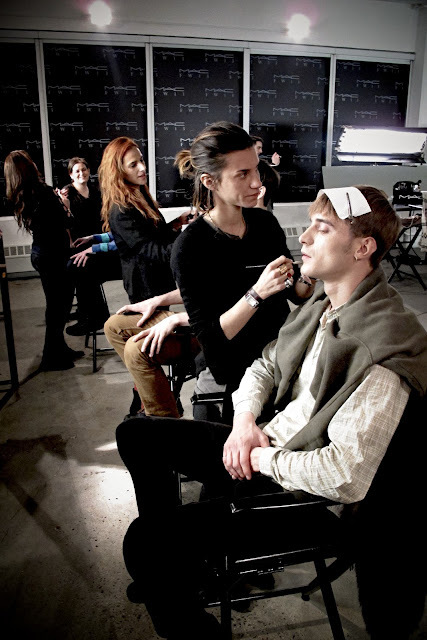 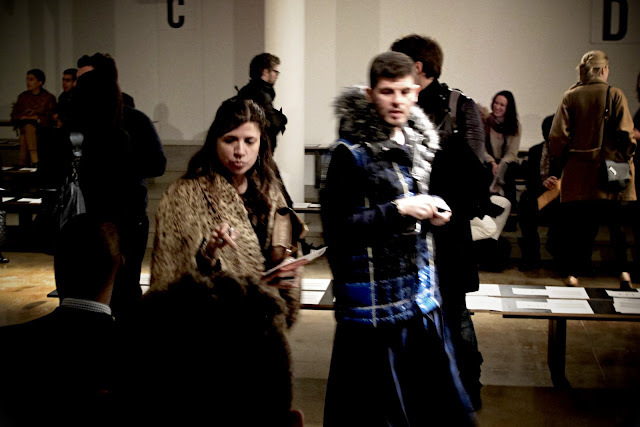 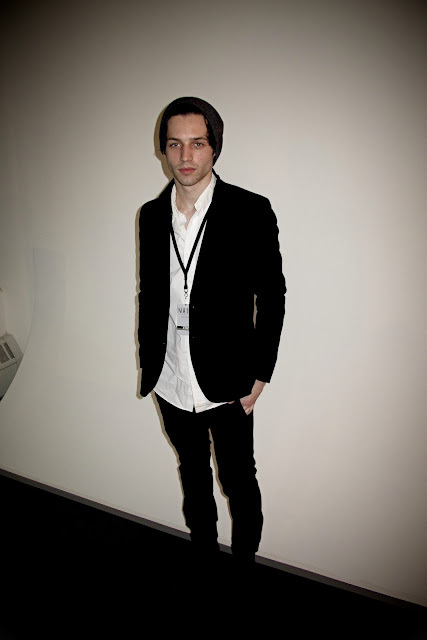 His AW13/14 collection majored in black and white concept. 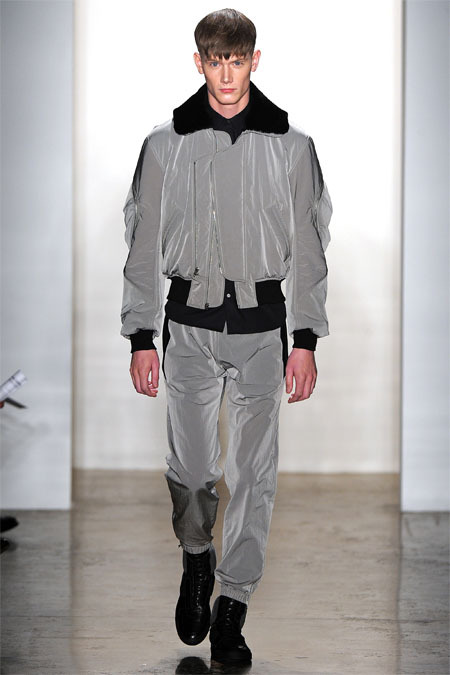 The focus was heavily on tops: bomber jackets, coats, and sweaters. 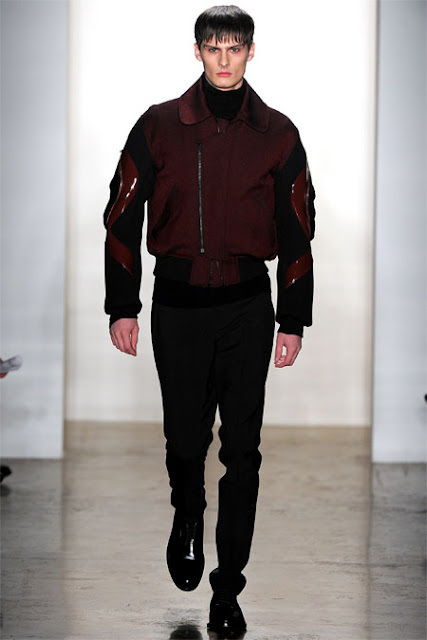 The last few pieces incorporated navy blue and maroon contrasts, and again building upper proportions defining strengths and masculinity. 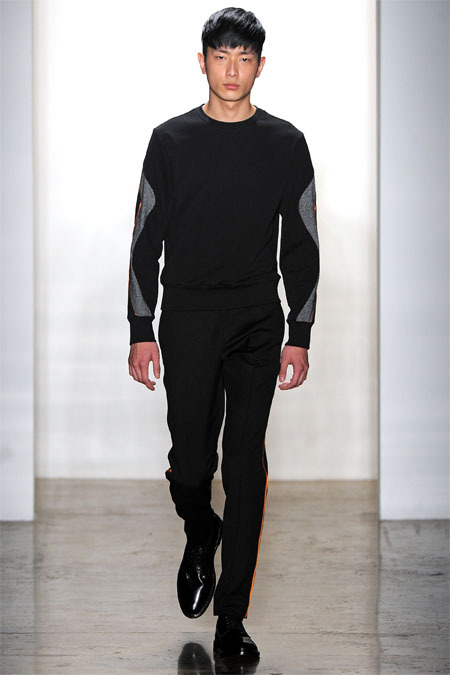 Tim Coppens said in the VIP lounge that he got the inspirations for this collection from scuba diving gear his father used to show him when he was younger. 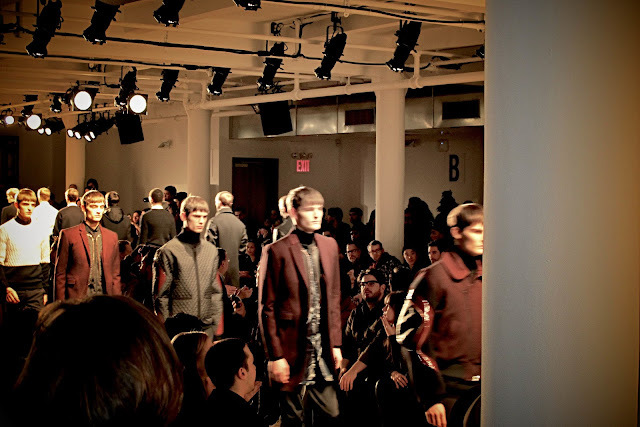 Having previously worked for Ralph Lauren, Tim Coppens' work certainly showed remnants of his former employer. 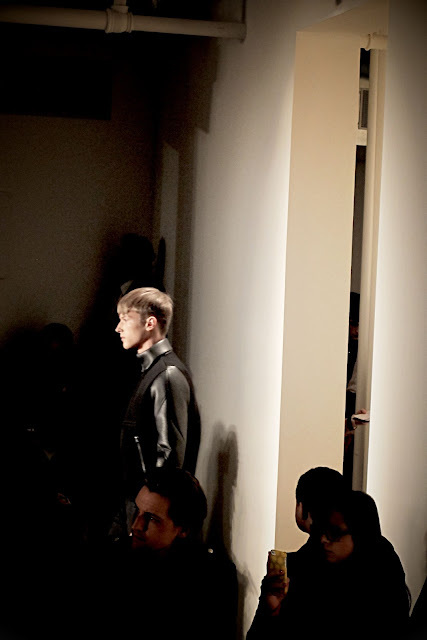 However one would not have known this without been told since he developed an unique style that segregated himself from the Ralph Lauren design house.